This blog post is sponsored by Bob’s Red Mill. All opinions are my own. 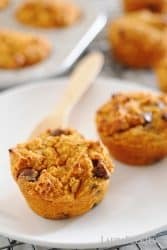 These light and fluffy Vanilla Chocolate Chip Protein Muffins recipe are made with vanilla protein powder and almond flour for a delicious quick breakfast or snack! The best part is that they come together quickly in a bowl as you can see in this video. If you’re looking for a sweet way to amp up your protein intake these chocolate chip protein muffins are just the fix! They’re 100% grain free, healthy, and the perfect addition to your day. 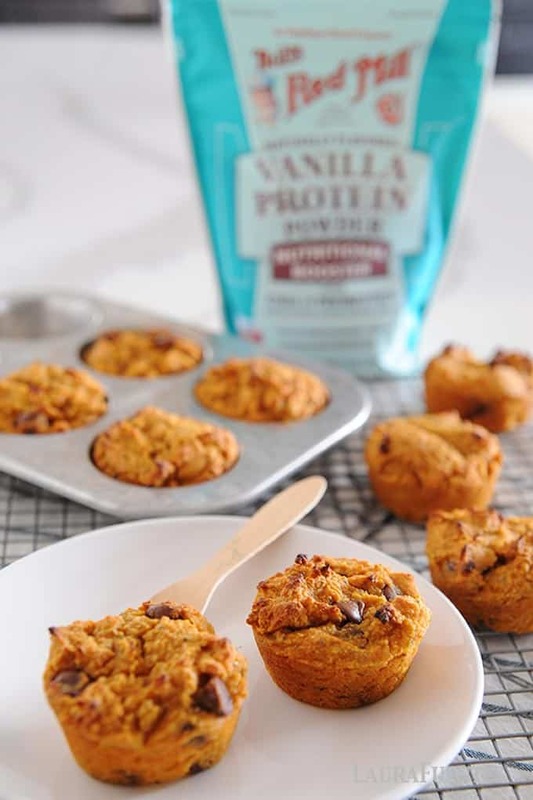 They are healthy because they are made with real ingredients, free of grains and gluten-free, and with high-quality Vanilla Protein Powder from Bob’s Red Mill. 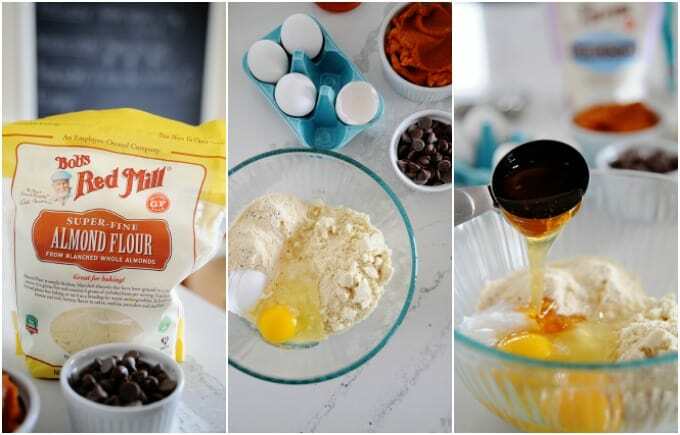 I love using Bob’s Red Mill products because they offer top quality grain-free and regular flours even nutrition boosters such as protein powders, that I’ve enjoyed using for baking my family’s favorite treats for years. The Vanilla Protein Powder is from pea protein which means is also fiber-rich, has probiotics, and is sweetened with monk fruit so I don’t have to worry about added sugars or artificial ingredients. If you want to make protein muffins, it’s a good idea to start with a high-quality protein powder that DOES NOT contain whey. [Puts on stern face] This is where I get serious, if you use whey, these beautiful bites of heaven will turn out dense, rubbery, and barely edible. We don’t want that! While whey protein has its place in smoothies/shakes it’s not ideal for baked goods. It’s another reason I choose Bob’s Red Mill Vanilla Protein powder, it’s made with pea protein, chia seeds, probiotics and contains no whey. I also love their Chai Pea Protein which I’ve used to make healthy cookies. Hello yum! Pea protein is a great source of plant protein that’s rich in iron, is dairy-free, gluten-free, and easy to digest. You can use it like regular protein powder, in shakes, smoothies, as well as most baking recipes. With an active lifestyle and three picky eaters, I’m always trying to find easy ways to tuck in some extra protein so protein powder is a MUST! 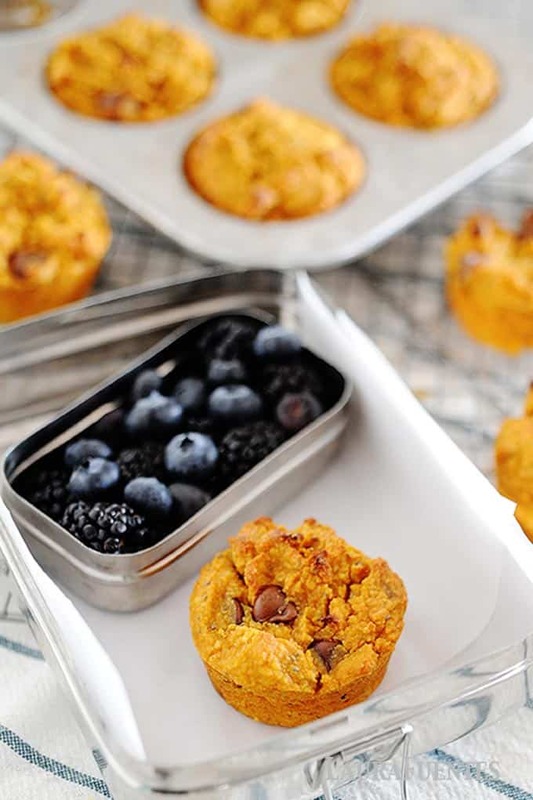 Some of their favorites include protein cookies which I usually pack in a lunchbox and Gingerbread cookies, for a more nutritious way to treat yo’self around the holidays. 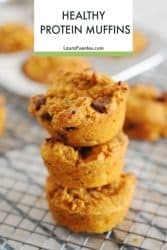 Can I make protein muffins nut-free? 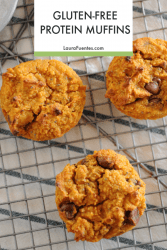 While I used almond flour for this recipe, if you need a nut-free version and still want to keep the recipe gluten-free, substitute it with oat flour. You can make your oat flour in your blender or purchase it from Bob’s Red Mill as well. You can also swap the almond butter for a nut-free butter like sunflower butter or tahini butter. What can I use instead of pumpkin in this recipe? If you don’t have canned pumpkin around, which is a tragedy by the way because I have a lot of pumpkin recipes, you can use mashed ripe banana or applesauce. 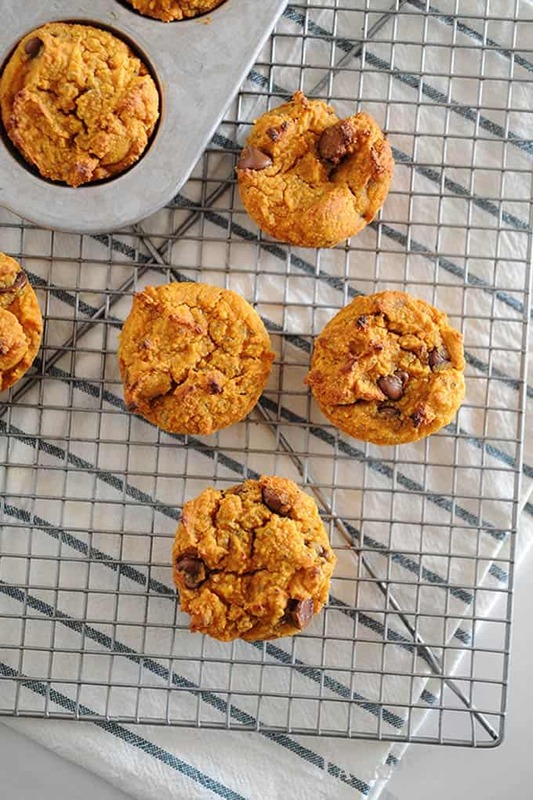 The pumpkin puree, mashed banana, or applesauce give these muffins a moist texture. Preheat the oven to 350F. 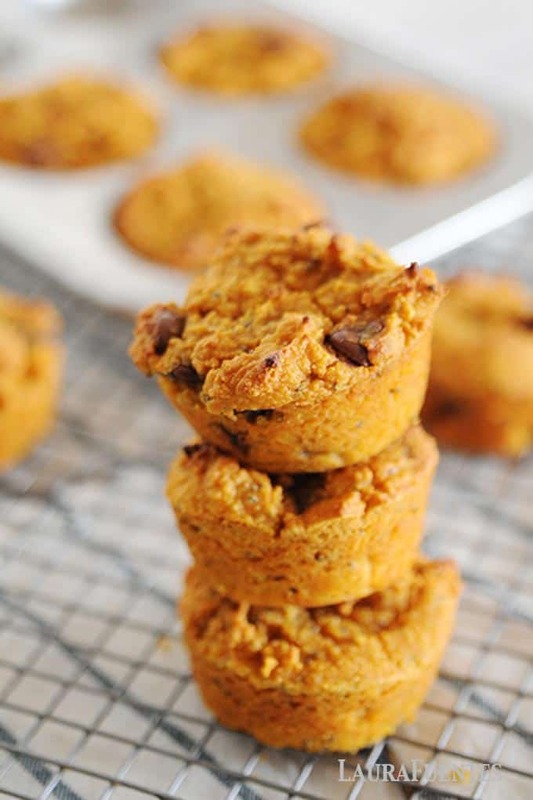 Grease 8 muffins in muffin pan.